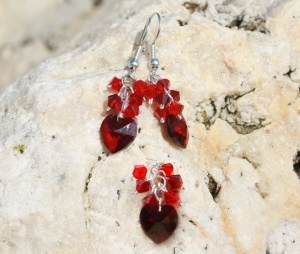 Reclaimed jewellery is a type of art jewellery that is made from recycled materials. These range from precious metals and gemstones to everyday products that are normally discarded including plastic bottles, old clothing, buttons,… you name it. In the latter case, however, the jewellery is usually referred to as recycled, while the term reclaimed is typically reserved for pieces that are made from reclaimed precious metals or/and gemstones. Materials that are used for making jewellery, especially precious metals have been recycled for centuries. The concept of reclaimed jewellery, however, is a relatively new approach to making jewellery. It appeared only recently as a response to increased environmental and social consciousness as a growing number of people refuse to wear jewellery that is not environmentally friendly or contains the so-called blood diamonds. Reclaimed jewellery contains elements of the regular counterpart including its main objective – to give the end product a unique aesthetic value. But it also contains elements of art jewellery that was initiated in the 19th century by French glass and jewellery designer Rene Lalique (1860-1945). He was among the first to use non-traditional materials and focused on creativity and innovation rather than imitating past styles. But in contrary to the regular counterpart, reclaimed jewellery also puts a major emphasis on eco-friendliness with an aim to demonstrate that art and beauty can also be green. Most pieces of reclaimed jewellery are made to be worn and enjoyed, just like the regular ones. But in contrary to the regular jewellery that is often mass produced, pieces of reclaimed jewellery are typically made one at a time by hand. However, just like some of the most spectacular pieces of regular jewellery aren’t really meant to be worn, some pieces of reclaimed jewellery also have exclusively artistic value and are more or less made for exhibitions. Reclaimed jewellery is typically bought directly from the artists either in their shops or via the Internet. The latter played an important role in the establishment of reclaimed jewellery as a type of art jewellery as it allowed the artists to present their works to the world wide audience. The price of reclaimed jewellery varies greatly from one artist to another but it also depends greatly on the materials and technique used. 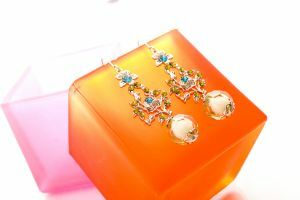 Generally, reclaimed jewellery is less expensive than the regular one but the pieces that are made by renowned artists can be very expensive.